The present work is, as its title indicates, a study of Hume's theory of imagination. Naturally, it is a study of a particular sort. It has a certain scope and limitations, takes a certain line of approach, exhibits certain emphases, has certain ends-in-view, etc. As an initial step in specifying the nature of this study, I shall indicate its central problem, i. e. , that problem to the solution of which the solutions of the various other problems with which it is concerned are merely means. 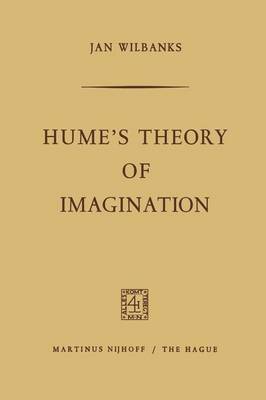 The central problem of this study is that of determining how Hume's theory of im- agination is related to, or involved in, the generic features and main lines of argument of his philosophy of the human understanding. The expression "philosophy of the human understanding" is obvious- to allude to a restriction on the scope of this investigation. ly intended Actually, it is a title suggested to me by two of Hume's philosophical writings; and to anyone who is even modestly acquainted with these writings, its reference should be no mystery. Hume published the first two so-called "Books" of his A Treatise of Human Nature in 1739. The first of these two Books was entitled "Of the Human Understanding. " Nine years later, he published a work under the title, An Enquiry Con- cerning Human Understanding.